2.7″ in length. 5 baits per pack. 5/8″ (16mm) in height, 5/16″ (8mm) in width. 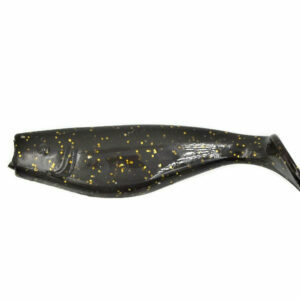 Designed for greater eﬀectiveness when jigging and in faster retrieve conditions in both fresh and saltwater, this simple, high proﬁle, narrow body swimbait presents a live bait ﬁsh silhouette that gets attention. 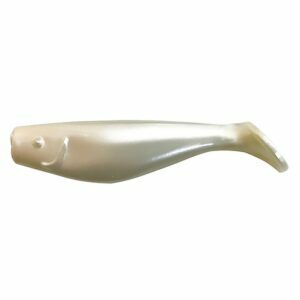 The slightly heavy tail provides a smoother, more natural action when given quick jerks when jigging or on faster retrieves, such as when used in saltwater or as a search bait.